With the increasing amount of data acquired by modern modalities and the growth of teleradiology, embedded high performance volumetric rendering is a must have for all radiologists reading cross-sectional data – whether from local or remote workstations. 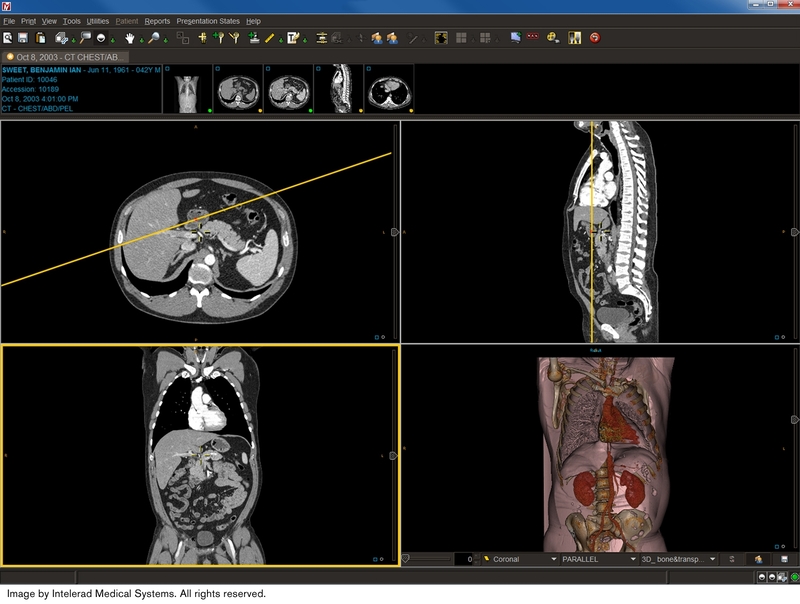 Intelerad uses the latest technology to boost 3D performance and speed for its distributed radiology solutions. Intelerad’s IntelePACS 3D will add power to Intelerad’s InteleViewer reading software by employing intelligent, hybrid client and server rendering technology. It will also optimize speed through its multi-mode image streaming design, while taking full advantage of 64-bit and multicore CPU resources for top performance.